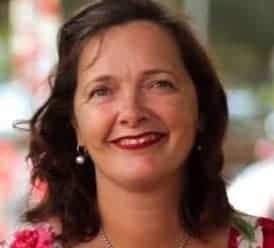 Claire Ruiz, the creator of Sumo Chef, comes to Platter Talk today to give us some great insight on How to Harvest Thyme. 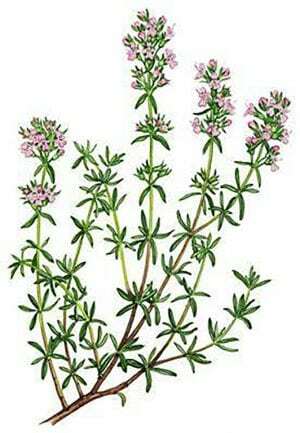 Thyme is a fresh herb that smells great and makes food taste great. However, picking thyme leaves can be a big problem if you do not use an effective technique. Most people do not enjoy removing the leaves from the stem. The herb has small leaves and woody stems that makes stripping off the leaves easier or tougher depending on the method you use. Since we use thyme in many instances in the kitchen, we had to find various tricks to ensure our supply of the herb is always taken care of easily whenever we needed. With this post I will show you how to harvest thyme. 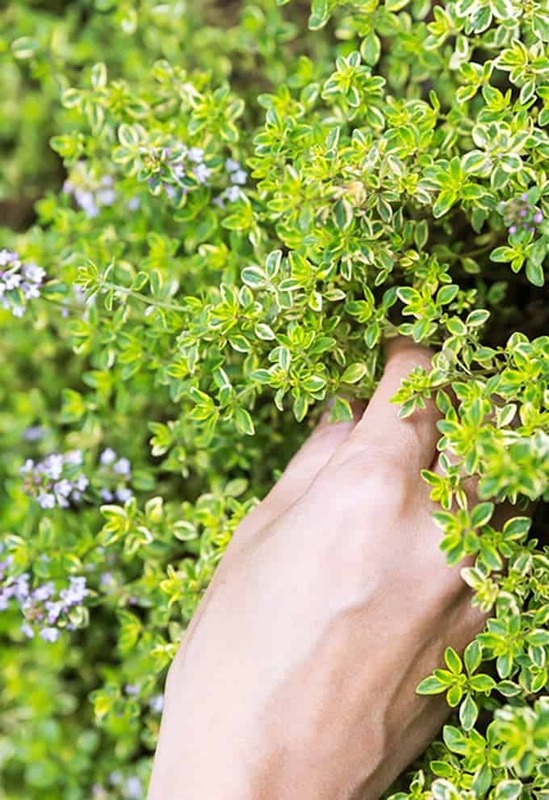 To avoid unnecessary pain, we use tricks that will do the job while saving you from going bonkers, which in the end will help you better learn how to harvest thyme. One of the methods that we use involves the use of a pasta measurer. We feed the stem through the tiniest opening we can find in a pasta measurer. The pasta measurer is an old plastic instrument that contains different sizes of circles, which are used to make portions of raw spaghetti. This tool can easily pull the leaves off the stem. Since a pasta measurer is almost impossible to find, you can search for a herb stripper instead, because it is readily available. Fortunately, our kitchen has many other tools that we can use to pick fresh thyme leaves, such as a fine-mesh strainer. We begin by pushing the stem’s end through a hole as far as it can go. Then, we carefully but forcefully pull the stem through. This usually gets the leaves collected in the strainer. Our perforated pan is another most useful tool for this task. Used together with a non-perforated pan, they make a perfect combination. We simply insert a perforated pan into a non-perforated one and throw in the woody thyme. We lay the aromatic plant out flat, and then we put it in the freezer until it is frozen. Next, we open the freezer and use our hands to crumple up the frozen twigs while slightly shaking the pan around. This allows most of the leaves to fall through the perforations. Sometimes, it is possible for a few small stems to go through as well, but we easily pick them out. We usually do this while it is still in the freezer to avoid it defrosting too quickly, thus allowing the leaves to remain attached. Another method we use as a substitute for thyme picking does not need any pan. This involves taking a large bundle of the thyme stem, and wrapping it in plastic wrap. We usually keep both ends of the wrap open and then put it in the freezer until it is frozen. When we want to use it, we simply pull it out. Next, we hold it between our hands in a vertical position and roll it loosely in the same way the ancient bushman used to start a fire. This makes all the frozen leaves to fall through the open end at the bottom. One final effective trick we use involves the less woody thyme with green stems. The stems are so soft that they tend to snap. This means that they are tender enough to eat. We just put these bits into a pile. We often simply fine-chop everything, including stems and leaves. You can also throw the entire thyme branch into most sauces and strain them if necessary. You may as well use a bouquet garnie. This involves wrapping a bundle of thyme herbs in cheesecloth and tying them with butchers twine. Alternatively, you can just remove them in the product that is left behind. 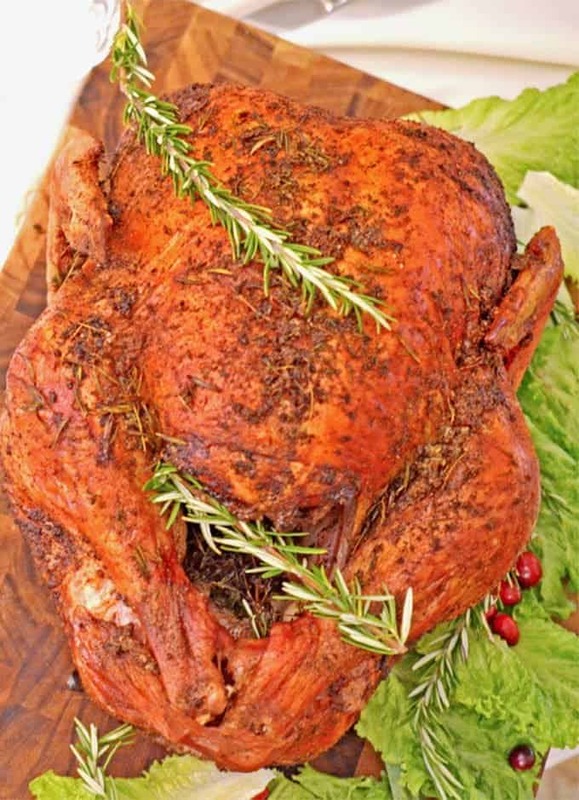 Thyme is one of the herbs used in this savory roast turkey recipe. 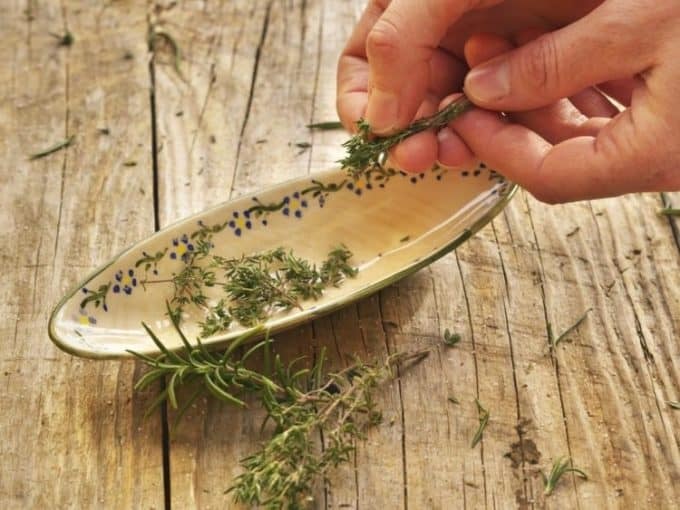 While you may love the smell and taste of herbs such as thyme, the thought of removing the tiny leaves may put you off. However, you should not forfeit a tasty meal simply because you cannot figure out how to remove the precious leaves. Extracting the leaves does not have to be torturous, since you can use simple tricks such as the ones we use. Some of the techniques involve the use of certain kitchen equipment, while others need only the use of your hands. Claire Ruiz is the founder of SumoChef, and her passion is cooking. 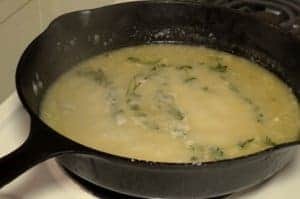 Her unique approach to cooking is the result of my varied experience and travel abroad. She believes that food is what actually unites people and the dining table is where we set aside our differences. SumoChef is where she finds expression to her passion and she hope be able to contribute to your cooking experience through this. 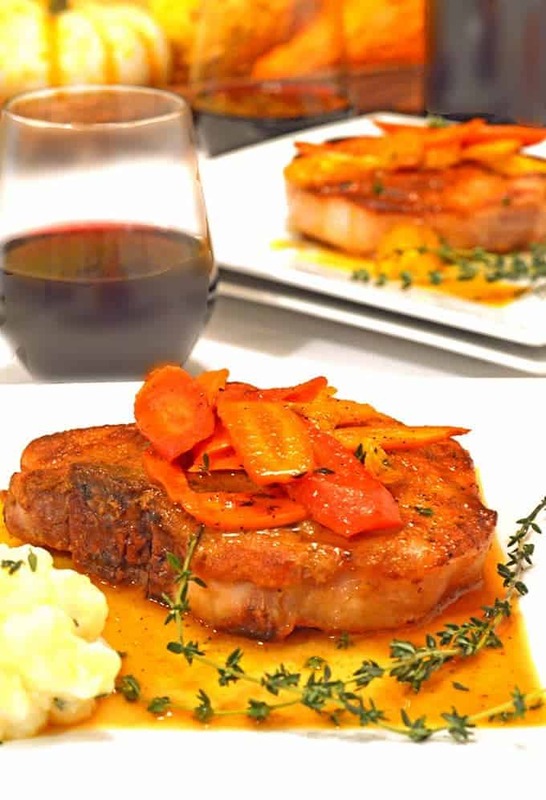 Be sure and taste some of our savory recipes that feature thyme and other fresh herbs. I have to confess that when I read the title of this post, I was wondering how you’d find anything to say, but wow! You’ve thought of some fantastic ideas that never occurred to me! I’ve got thyme growing like crazy, so this will be helpful. Nice post. The tips to pluck thyme are good too. Thanks for having me on Platter Talk, Dan !